Laid down in 1944 as a Maritime Commission type (C1-M-AV1) hull, under Maritime Commission contract (MC hull 2375) at Kaiser Cargo Inc., Richmond, CA. Decommissioned, 10 July 1946, at Seattle, WA. Recommissioned, 26 June 1947, at Puget Sound Naval Shipyard, Bremerton, WA. 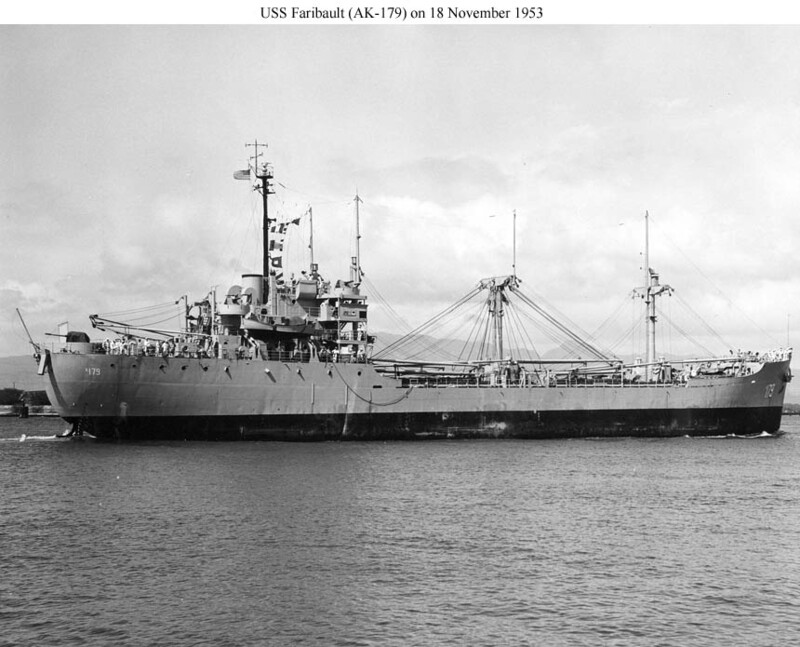 117k USS Faribault (AK-179) underway at Pearl Harbor, 18 November 1953. 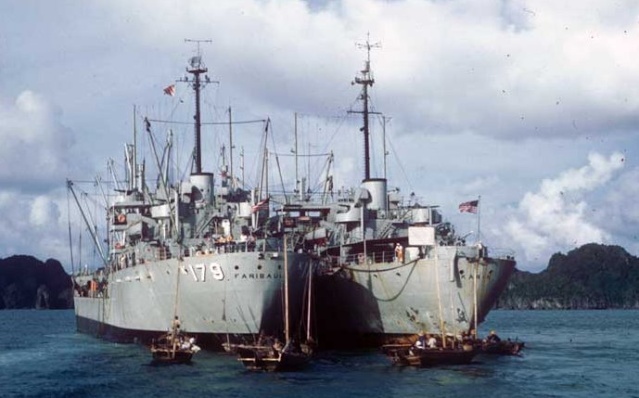 79k USS Faribault (AK-179), left, and USS Karen (AF-33), right, at anchor in Along Bay, North Vietnam during operation "Passage to Freedom," while evacuating Catholics refugees from the North to South Vietnam in 1955.